Also this week, students will receive their third quarter report cards. Please review these with your child and discuss how they can improve for the last quarter. We will also have our second Junior Achievement class on Wednesday, March 27, 2019 at 1pm. Junior Achievement uses hands-on activities to help students understand how a business is run and how businesses in the United States affect the economy of the country and the world. This week we will continue to explore the liturgical seasons in the Church. We will discuss the significance of the number 40 as it occurs throughout the Bible. Additionally we shall discuss the timeline of Christ’s journey to the Cross. Students are doing extremely well in their reading groups. This week we will continue learning about literary elements including the different forms of conflict and in stories. We will also continue our quickwrites, mini journals, in our interactive notebooks and our readers’ response questions. For more information, please watch the following videos on types of conflict. Due to my absence for part of this week, we will not have a new reading log until Friday of this week. This will be Reading Log #2, which focuses upon character traits for the fiction side. The nonfiction side focuses upon facts vs. opinions. This reading log will be due Friday, April 5, 2019. This week we will begin our unit on vivid verbs. Students have already completed the prerequisite worksheet for this unit by rewriting sentences that overused linking and helping verbs such as is, am, are, was, were, have, has, had etc. Instead of using these tired old verbs, students rewrote their sentences to include active and interesting verbs. Watch out for dead and buried verbs in our verb graveyard! Students will also begin our chapter on verbs in the Voyages textbook. Along with learning how to use verbs more effectively, they will continue practicing diagramming sentences with direct objects and subject complements. Also this week we will continue our Unit 2 vocabulary with Word Sort 11. This week we sort our words into categories in our ELA notebooks. On a separate sheet of paper they will write their words in alphabetical order, twice, in cursive. They will also find 2 extra words and their definitions that use the same verb suffixes that we are using this week. We will find 12 synonyms to go with our words and we will write definitions and parts of speech for each new vocabulary word. The spelling test for word sort 11 is scheduled for Thursday, April 4, 2019, and the vocabulary test for word sort 10 is scheduled for Friday, April 5. This week we will continue our study of chapter 13 in our textbook. We will use what we already know about multiplying and dividing and apply it to working with decimals. There will be a challenge maze and riddle for students to practice their multiplying and dividing decimals. This week we will take the Chapter 7 test on Tuesday, March 26, 2019. We will then move on to Chapter 8 and our study of the Declaration of Independence. Students will read all the way through this document and explore the 3 major sections in detail. This week we will complete our chapter on Static Electricity and continue on to Chapter 12 on Conductors & Insulators. Students will learn what makes good insulators and what makes a good conductor. They will compare the two to see what they have in common, and to see what differentiates the two. My apologies that this newsletter is late! I missed hitting a check box when I submitted the post. 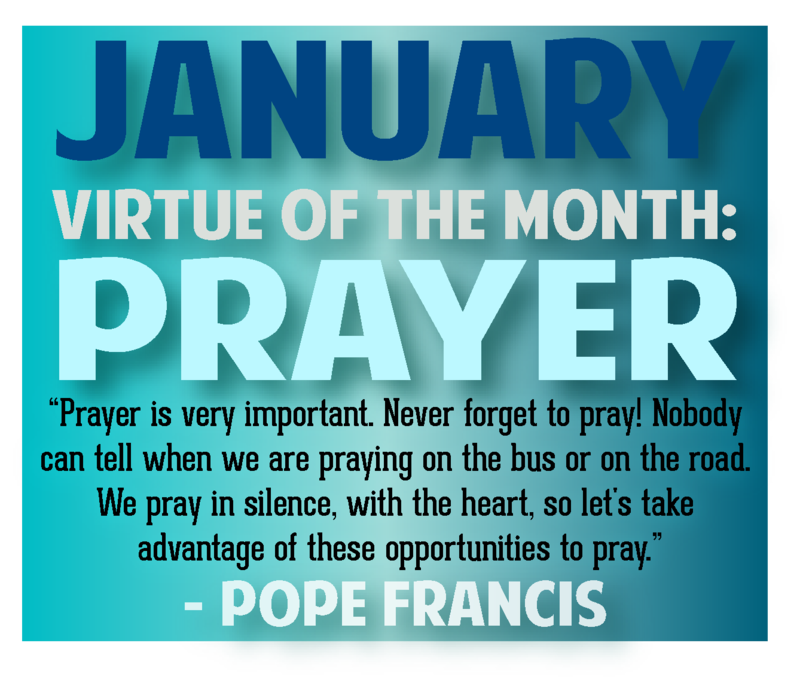 This week, as we continue our Lenten journey, we will discuss how we can practice prayer, almsgiving, and penance. We will also have our first Junior Achievement class on Wednesday, March 20, 2019 at 1pm. Junior Achievement uses hands-on activities to help students understand how a business is run and how businesses in the United States affect the economy of the country and the world. This week we will continue to explore the liturgical seasons in the Church. Specifically we will discuss the the Lenten season and what makes it important to who we are. We will begin by discussing the sacramental of ashes and continue exploring why Lent is a season of penance. All Catholic students will have the opportunity to attend the sacrament of Reconciliation this Thursday from 1:30-3:00 in the Basilica. Our new reading groups are a hit! Students did a wonderful job exploring their own reasons for reading with their reader’s surveys, and they participated in thoughtful dialog during the pre-reading groups for our texts. This week we will continue learning about literary elements including author’s purpose and the different forms of conflict in stories. We will also begin our quickwrites, mini journals, in our interactive notebooks and our readers’ response questions. For more information, please watch the following videos on author’s purpose. We also have Reading Log #1 (new quarter!) due on Monday, March 25, 2019! This reading log focuses on main idea, problem and solution, and setting in a story for the fiction side. The non-fiction side focuses on non-fiction text features and their importance to understanding a text. Our reading goal this week is 180 minutes over a minimum of 4 days. Reading time may include time spent reviewing notes and readings for class, reading to others, reading and comprehending recipes, game rules, etc. This week we will complete our unit on pronouns with the Pronoun Test, which has been moved to Wednesday, March 20, 2019. Adjective pronouns, pronouns and antecedents, and differentiating possessive pronouns from pronoun contractions will be the focus of our notes and practice. Students will continue practicing how to diagram sentences with direct objects and subject complements. Once we have completed this test, we will continue our grammar studies with sentence building with vivid verbs. Watch out for dead and buried verbs! Also this week we will continue our Unit 2 vocabulary with Word Sort 10. This week we will submit our definitions in our ELA notebooks. On a separate sheet of paper they will find synonyms for 12 of their words. Additionally, we will write 12 sentences using our vocabulary. Sentences should include 3 of each sentence type. 3 declarative sentences, 3 interrogative sentences, 3 imperative sentences, and 3 exclamatory sentences. The spelling test for word sort 10 is scheduled for Thursday, March 21, 2019, and the vocabulary test for word sort 10 is scheduled for Friday, March 22. This week we will continue our study of chapter 13 in our textbook. We will use what we already know of decimals in order compare and order decimals. We will then extend our knowledge to focus on adding and subtracting decimals. There will be a quick assessment quiz on the sections 13.3-5, and 13.8-9 on Friday, March 22, 2019. We will then move on to multiplying and dividing fractions. This week we will finish Chapter 7 exploring the causes and events leading to the American Revolutionary War. Students will read Paul Revere’s Ride, by Henry Wadsworth Longfellow, and compare it to the historical information presented in their textbooks. Students will annotate their copies of the poem in order to support their answers of why the poem is historically inaccurate. Students will also read and take notes on the initial battles of the American Revolution, as well as discuss the second meeting of the Continental Congress and the Olive Branch Petition. The Test for this unit is currently Scheduled for Tuesday, March 26, 2019. This week we will learn how static electricity works. Students will explore the properties of this electrical force in more depth during our Static Electricity Lab on Friday, March, 2019. We will have our mini-quiz for Chapter 11 on Monday, March 25, 2019. This week, as we continue our Lenten journey, we will discuss how we can work to incorporate corporal and spiritual works of mercy more fully into our lives during this season. Students have done a wonderful job exploring the biblical sources for the corporal and spiritual works of mercy. This week we will complete our search for these sources and take the final assessment on Friday, March 15, 2019. We have now completed our non-fiction unit and will move back to exploring novels. Students should have their assigned novels available in class no later than Tuesday, March 12, 2019. Our new reading groups will be as follows: Chasing Vermeer, Open Court Reading, and The Watsons Go to Birmingham. This week we will be introduced to working as groups and how we can do that as part of Reader’s Workshop. We will review what good readers due and be introduced to our new texts. We also have Reading Log #8 due on Monday, March 11, 2019! Our next reading log, Reading Lob #9 will be due on Monday, March 18, 2019. This reading log focuses on asking questions before, during and after reading. Students are to record questions they have during these times. This applies to both the fiction and nonfiction sides of the reading log. Our reading goal this week is 180 minutes over a minimum of 4 days. Reading time may include time spent reviewing notes and readings for class, reading to others, reading and comprehending recipes, game rules, etc. This week we will complete our unit on pronouns. Adjective pronouns, pronouns and antecedents, and differentiating possessive pronouns from pronoun contractions will be the focus of our notes and practice. Students will continue practicing how to diagram sentences with direct objects and subject complements. The test for pronouns is currently scheduled for Tuesday, March 19, 2019. This week we will begin our study of chapter 13 in our textbook. We will use what we already know of decimals in order to convert fractions and mixed numbers into decimals. There will be a quick assessment quiz on the first two sections on Wednesday, March 13, 2019. We will then continue on to comparing and ordering fractions and mixed numbers according to their place values. This week we will continue to explore the causes and events leading to the American Revolutionary War. Students have already begun to examine the colonists’ reactions to the first taxes levied upon the colonies without any representation in the British Parliament. This week they will see how tensions escalate with the Boston Massacre, the addition of the Tea Tax, and the colonial reaction of the Boston Tea Party. The Continental Congress will meet for the first time, so get ready to examine the Declaration of Independence! This is our final week for our study of magnetism and electric circuits. Last week we began our exploration of the series and parallel circuits. This week we will complete our circuits unit with our interactive notebook activities on parallel and series circuits. We will then take our 5 questions mini-assessment on Tuesday, review and update our notebooks on Wednesday and Friday in order to prepare for our final test on Friday, March 15, 2019. Interactive Notebooks will also be due on Friday. During this short week, we will be celebrating the beginning of the Lenten season by attending Mass on Ash Wednesday. The Mass will be held, as usual at 8:30am in the Basilica of St. Peter. Please come and join us for this solemn occasion. As we begin our journey through Lent this week, we will discuss why we fast, give alms, and pray, espeically during this season. On Thursday, March 7, 2019, we will have an 11:30am dismissal and there will be no school on Friday, March 8, 2019. Students did a wonderful job presenting their skits on the Corporal Works of Mercy. This week we will again discuss the Spiritual Works of Mercy and how we, especially during this time of Lent, can do better t following these special works of Mercy. Again, due to scheduling interruptions, we were unable to complete our nonfiction unit. So, this week we will complete the final project for our nonfiction unit. We have learned about different text features and how they assist us in our understanding and ease of reading various texts. This week, we will create our own nonfiction texts . We also have another reading log due on Monday, March 11, 2019! The focus of this log is upon text-to-text relationships and how we can make connections across different texts. For the non-fiction side, students must find an article that makes a connection to the greater world around us. Students can always learn how to better make connections in their reading to subjects that impact the community, nation, and the world. Please make sure that your child is taking the time to read both fiction and nonfiction texts. Due to the extended period for this reading log, our reading goal this is 200 minutes over a minimum of 4 days. Reading time may include time spent reviewing notes and readings for class, reading to others, reading and comprehending recipes, game rules, etc. This week we will continue our unit on pronouns. Possessive pronouns and adjective pronouns will the focus of our notes and practice. Students will continue practicing how to diagram sentences with direct objects and subject complements. Also this week we will continue our Unit 2 vocabulary with Word Sort 9. This week we will practice spelling and using the words with the suffixes -ary, -ery, -ory, and a few oddball ones. Students will define each word and include the part of speech using their ELA notebooks. On a separate sheet of paper they will practice writing sentences that use context clues to help the reader understand the vocabulary used. The spelling and vocabulary tests for word sort 9 are currently scheduled for Thursday, March 7. This week we will wrap up our unit on adding and subtracting fractions and mixed numbers. Students have already learned how to add and subtract fractions and mixed numbers with unlike denominators. They have also learned how to create mixed numbers from improper fractions. This week, students will review what they have learned and take the Chapter 9 Test on Wednesday, March 6, 2019. This week we will continue our history with the causes and events leading to the American Revolutionary War. Students will read and respond to questions about the French and Indian War as well as read and discuss the Colonists’ reactions to the Acts levied upon the colonies by Parliament. Last week we explored how to differentiate between open and closed circuits, and we had our first circuit lab! Students were divided into teams that had to successfully build a simple circuit in order to light up a small bulb. Each team achieved their goal, and we are now moving forward to exploring parallel and series circuits. Please watch the following video clip to learn more! I hope that you all had a wonderful weekend! 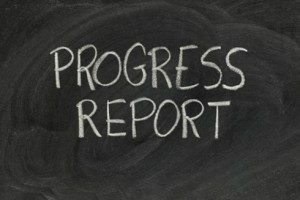 This Tuesday, Progress reports will go home in the Tuesday folder. Please review these with your student. We will also have our Read Across America character parade on Friday, March 1, 2019 at 2:00pm on the soccer field. Your student is allowed to dress up as any fictional or nonfictional book character. We ask that there be no masks, toy weapons, superhero costumes, and television and/or movie characters. Since this is also a PE day, I am asking that the fourth grade students please wear their PE uniform to school and bring their costume in their book bag to change into after recess. Students are to wear their regular school shoes. Parents, you are welcome to attend! This week will continue to explore and write about the the corporal and spiritual works of mercy. Students will discuss what these mean and why they are important to us as Catholics. Students will perform their skits that demonstrate how we can fulfill each Corporal work of mercy in our day-to-day lives. Due to schedule interruptions, we were unable to complete our nonfiction unit. So, this week we will complete our nonfiction unit. We have learned about different text features and how they assist us in our understanding and ease of reading various texts. This week, we will create our own nonfiction texts . We also have another reading log due this week! The focus of this log is upon perspective and how our differing opinions can influence a reader. For the non-fiction side, students must find an article that has an opinion expressed towards something. Students must then indicate if they agree or disagree with the opinion stated in the article. Please make sure that your child is taking the time to read both fiction and nonfiction texts. Our reading goal this week is 180 minutes over a minimum of 4 days. Reading time may include time spent reviewing notes and readings for class, reading to others, reading and comprehending recipes, game rules, etc. This week we will continue our unit on pronouns. We will continue with object and possessive pronouns. Students will continue practicing how to diagram sentences with direct objects and subject complements. Also this week we will continue our Unit 2 vocabulary with Word Sort 9. This week we will take notes on the spelling and use of the suffixes -ary, -ery, -ory, and a few oddball ones. Students will sort the words into their suffix categories using their ELA notebooks. On a separate sheet of paper they will number each word and write it out two times in cursive. Students will use dictionaries and electronic sources to find 2 additional words and definitions to add to our vocabulary list, and they will work to find the correct definitions and parts of speech for each word. The definitions should be written out in the ELA notebook. The spelling and vocabulary tests for word sort 9 are currently scheduled for Thursday, March 7. This week we will continue our unit with adding and subtracting fractions and mixed numbers. Students have already learned how to add and subtract fractions and mixed numbers with like denominators. They have also learned how to create mixed numbers from improper fractions. This week, students will extend their learning to include adding and subtracting numbers with unlike denominators. Please review the steps of these processes with the students and ensure that they are completing each step. This week we will continue the history portion of our study of Social Studies. 4th Grade concentrates on the history of America. Our focus this week will be upon the Middle and Southern colonies, their governments, practices, trades, etc. The test for Chapter 6 is scheduled for Wednesday, February 27, 2019. Please look for the study guide and review with your child this week. Also, Social Studies notebooks will be collected for grading this Friday, March 1, 2019. This week we will continue to explore electronic forces. Students have explored electric force and electric fields. They will continue with how electric forces can be harnessed and used to create circuits. There will be 4-5 question mini-assessments on each section we study. Please review notes with your student. I hope everyone enjoyed a lovely, long weekend, and are ready to be back in classes on Tuesday. This week we have Martha Dunsky coming in to read aloud her book, Fire and Forgiveness: A Nun’s Truce with General Sherman. She wrote this after being inspired by the history of St. Peter’s Church and School during the Civil War. Our very own Mrs. Wyrick is the illustrator for this story. Ms. Dunsky will be visiting on Thursday, February 21st at 10:30am, where she will read part of her book aloud to the students and then give a presentation in the library. I know the students will love hearing the story! This week will continue to explore and write about the the corporal and spiritual works of mercy. Students will discuss what these mean and why they are important to us as Catholics. Students are working to write skits that demonstrate how we can fulfill each Corporal work of mercy in our day-to-day lives. This week we will complete our nonfiction unit. We have learned about different text features and how they assist us in our understanding and ease of reading various texts. This week, we will create our own nonfiction texts . We also have another reading log due this week! The focus of this log is upon dialog and its significance in story for the fiction side. For the non-fiction side, students must find an explain a quote from their reading. Please make sure that your child is taking the time to read both fiction and nonfiction texts. Our reading goal this week is 180 minutes over a minimum of 4 days. Also this week we will complete our Unit 2 vocabulary with Word Sort 8. We will define these words, find antonyms for them, and use them with contextual accuracy in sentences. We will take our spelling test on Thursday, February 21, 2019, and we will take the vocabulary test on Friday, February 22, 2019. This week we will continue the history portion of our study of Social Studies. 4th Grade concentrates on the history of America. Our focus this week will be upon the Middle and Southern colonies, their governments, practices, trades, etc. This week we will begin to explore electronic forces. Students will explore electric force and electric fields. Students will also learn the various charges and their scientific names. Students will compare what they have learned with electronic charges to what we learned with magnetic fields and poles. All of this will build into creating circuits. I hope you all enjoyed the long weekend! This Tuesday, January 22, report cards will be sent home in the Tuesday folder. Please review these with your child and discuss plans for his or her continued success. I am including 2 copies of the report card. Please sign and return the yellow copy in the envelope provided. The white copy is for your records. Have a wonderful week! This week we will continue to explore the Beatitudes. Students will put each Beatitude into language that is meaningful to them They will also read the source material for each Beatitude from the Bible and discuss how these continue to be relevant in today’s society. This week we will continue to learn and write our own poetry. Students will practice creating acrostic, biographical, and cinquain poems as a part of this week’s exploration. This week we are completing our Unit 2 vocabulary with word sort 6. We will use each word with contextual accuracy according to its definition. The spelling test will be Thursday, January 24, 2019; and the vocabulary test will be Friday, January 25, 2019. Word Sort 6: safe, safety, active, activity, minor, minority, festive, festivity, special, speciality, novel, novelty, loyal, loyalty, humid, humidity, casual, casualty, tranquil, tranquility, sensitive, sensitivity, certain, certainty. This week we will continue our unit on Fractions. Students will practice finding equivalents for different fractions, as well as learning how to find the Greatest Common Factor (GCF), and how to express fractions in their lowest terms. This week we will continue the history portion of our study of Social Studies. 4th Grade concentrates on the history of America. Our focus this week will be discussing and learning about the geography of the colonies. In particular, students will focus upon the New England Colonies: their government, daily life, trade practices, etc. This week we will continue our unit on Magnets. Students will explore what makes a magnet, what will and will not be attracted to magnets, magnetic poles, and magnetic fields. Students will also learn the various uses of magnets and how to differentiate between them. This week will be another busy one for fourth grade. This week we will continue our second round of MAP testing. Our testing schedule will be as follows, Monday, January 14, 2019 from 10:30-11:30am; and Wednesday, January 16, 2019 from 11am-12pm. Please make sure that your child has plenty of sleep and a good breakfast before these tests. Thank you so much for your continued support! This week we will continue to explore the Beatitudes. Students will learn the meaning of each Beatitude and share ways in which they can put these Catholic ideals into practice in their own lives. This week we will continue to learn about poetry. We will focus on different types of poems and their construction. Students will practice using their knowledge of figurative language to include in these poems. This week we are continuing our Unit 2 vocabulary with word sort 6. We will practice writing these words, reviewing how suffixes can change the part of speech of the word and even the inflection of the word. Students will also practice finding and using synonyms and antonyms of these words as well as using the words correctly in context. This week we will begin our unit on Fractions. Students will learn the vocabulary for how to read a fraction, learn how to order them on a number line, and practice finding equivalents for different fractions. This week we will continue the history portion of our study of Social Studies. 4th Grade concentrates on the history of America. Our focus this week will be discussing and learning about the different settlements of various countries that became the original 13 colonies. There will be a test on Thursday, January 17, 2019 on the settlements of Jamestown & Roanoke, Plymouth & Massachusetts Bay Colonies, and the French and Dutch Colonies.